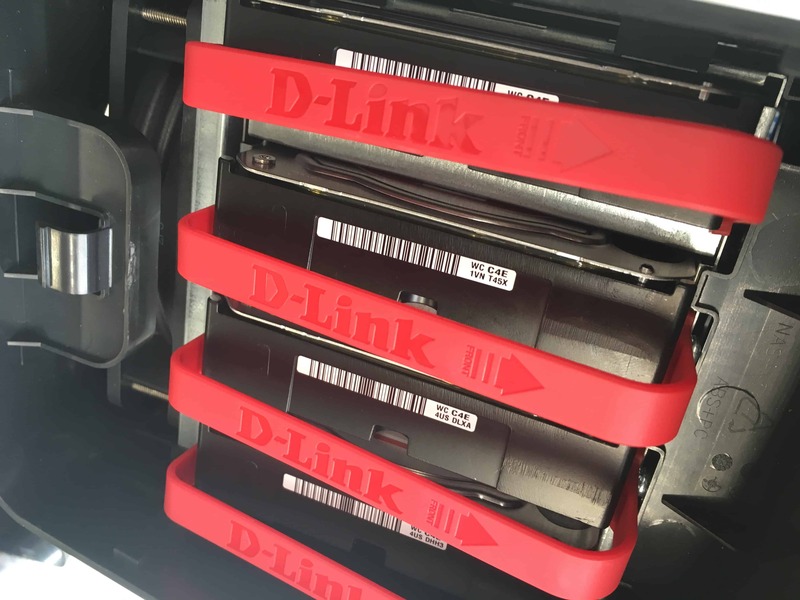 Today I got to setup and play with a D-Link ShareCentre NAS box, my model was a 4-Bay DNS-340L. There is also a two drive bay model available. 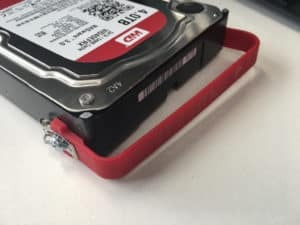 For both the two and four bay models you need to provide you own hard disks for my model I choose to populate the NAS with 4 WD Red 4TB 3.5″ SATA NAS Hard Drives. The installation of the disks is a piece a cake you just attach the the provided red handled to each of the hard drives with two screws and drop the drives into the NAS enclosure. If you have done the job correctly then there are some nice activity lights on the front which will show which bays are populated when the NAS is powered on. After connecting the box up to my network and powering the ShareCentre on the first thing I noticed was how quiet it was. 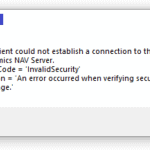 The quick start guide gave enough information to get started and there is a CD provided which walks you though the setup process. I didn’t have a CD drive so I deviated from the manual a bit, I noticed the device had picked up an IP address via DHCP so I opened up a web browser to that address and successfully logged in with the credentials in the quick start guide. 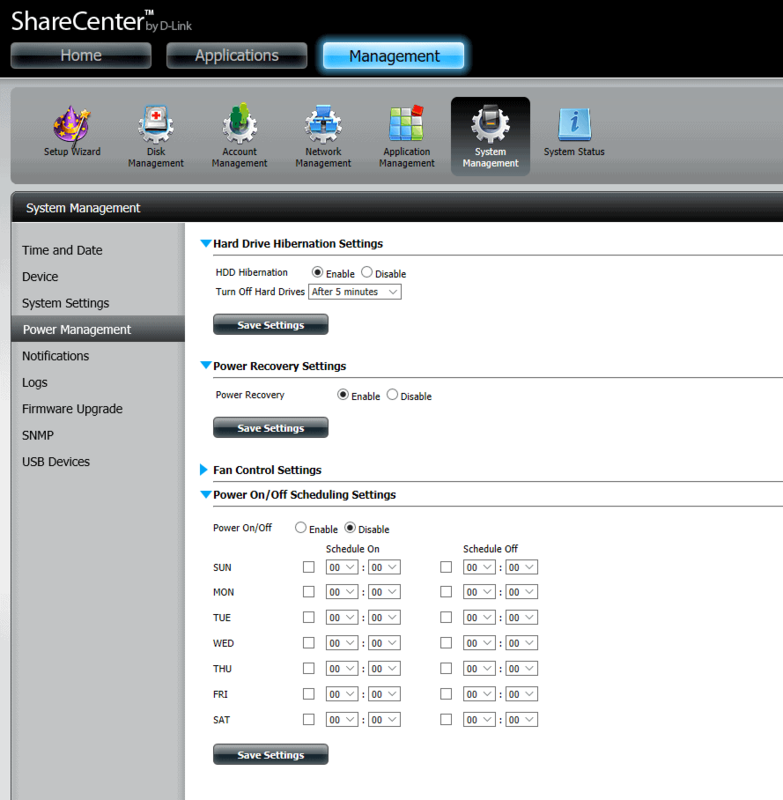 The basic system setup was painless I setup my 4 disks in a RAID 5 configuration, the ShareCentre 4 -Bay models also supports JBOD, RAID 0, 1, 5, 10, 1+0 configurations. The web admin screen is fairly well organised and wherever you go there is a handy section on the right that gives you help and tips. 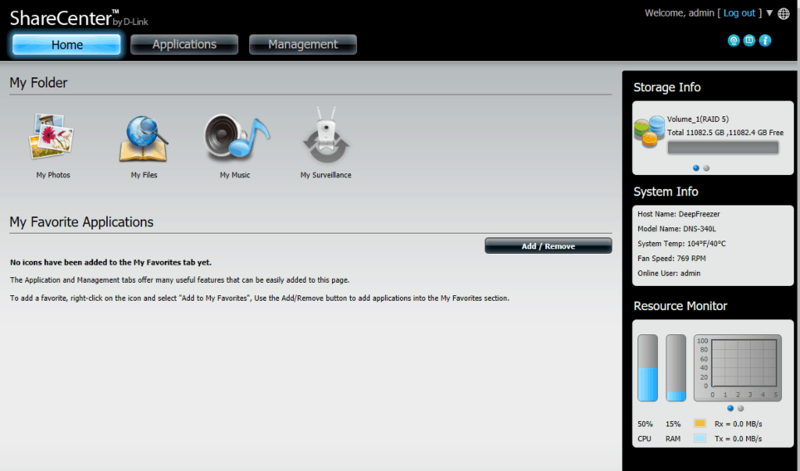 Then web admin has three main tabs Home, Applications and Management. Home is where you can access your data in the web portal. 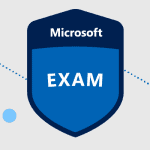 Applications is where you can setup things such as integration with cloud storage providers, FTP and peer to peer networks. 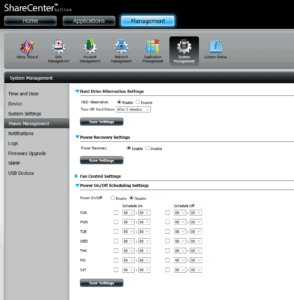 Management is where you manage the ShareCenter and Disks. This is also where you will find the Application Management icon to setup more advanced sharing options such as Syslog and multimedia services such as UPnP and iTunes Server Settings. One thing I struggled with at first was locating where to create a normal network share. It was a bit hidden but I found it was under Management => Account Management => Network Shares. You press the “New” button and you get a nice little wizard to help you out. 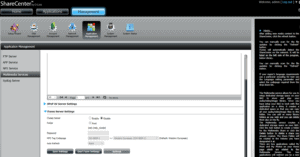 In the account management section you will also find settings for integrating with Active Directory. This box is packaged with great features. The NAS has two NIC connections on the back and there are options for NIC teaming. I also really liked the power management features, you have some nice granular settings for scheduled the Power On/Off. 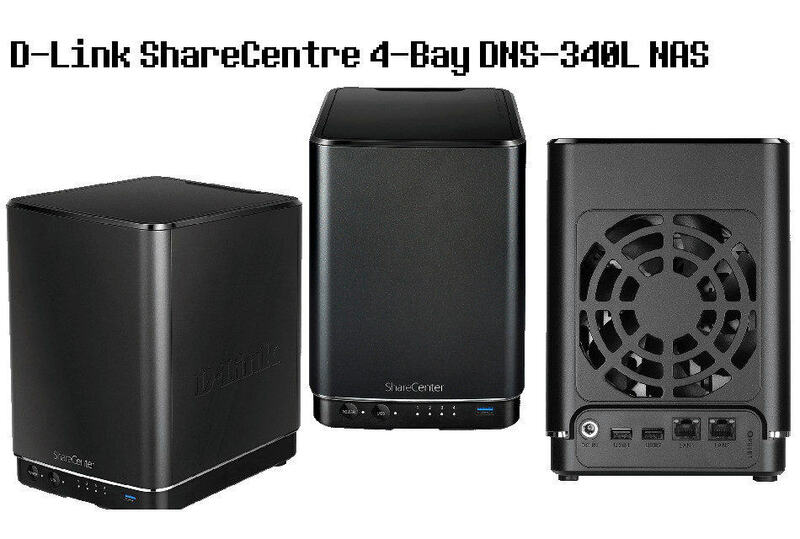 All in all the D-Link ShareCentre 4-Bay DNS-340L is a really good NAS for the price. Some of the options are not immediately where you would expect them and compared to some more expensive NAS’s it is not quite as polished. But you can’t fault it on features or cost. The WD Red 4TB NAS disks are superb but a bit pricey.